So you’ve decided to take your branded content to the next level by replacing the conventional video approach in exchange for VR and 360- video. After strategizing a careful video marketing plan, you have to choose between the two formats next. But what’s the difference between them? Although they may seem the same, VR and 360- video have stark differences. Their various functionalities and features make them particularly effective for certain types of content. So forget your preconceived notions about VR–because you might be mixing it up with 360- video instead. When people watch a 360- video on a VR headset, it’s technically not a true VR experience. 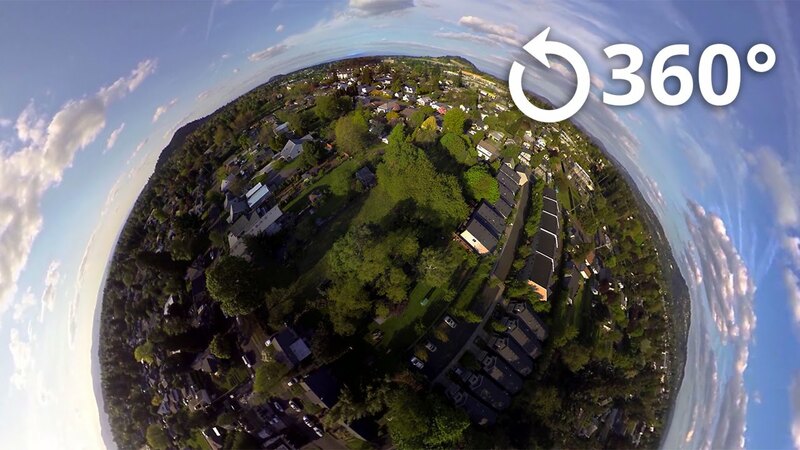 What they see in this format is footage taken from the 360-degree overview from the camera’s physical position. Viewers cannot explore beyond the setting that the filmmaker presents. But in VR, the headset tracks the movement and position of users. The users are in complete control. They can both walk and interact in their surroundings, activate certain functions with controllers and other motions, or even just abandon the narrative. In this way, VR imitates life through this freedom of choice within the simulated environment. 360- videos are known for their natural progression from scene to scene. That means filmmakers handpick what they want to present their audience. Viewers consequently don’t have any power over their interactions. In contrast, VR thoroughly immerses users into the environment and allows them to explore whatever and however they want to. Unlike in 360- video, a VR story is not set in stone. It doesn’t follow any pre-determined timeline. Rather, users are able to create their own experiences in the VR simulation. Now that you know the difference between VR and 360- video, you might be wondering which format fits best for your next project. If you want to create a large-scale experience that your audience will never forget, consider the VR approach. With the technology being so complex, it’s best to feature VR experiences at conference or festivals. Consider the Gear VR Theater with 4D at the Mobile World Congress 2016 in Barcelona. The experience transported the participants to a Six Flags roller coaster ride in California. The chairs they sat in had motors placed underneath, allowing the individual to feel the toss and turn of a roller coaster. With 4D elements in combination with the groundbreaking visuals, VR proved to be a perfect marketing platform for the company. With this captivating VR, you are more likely to create an engaging experience for customers because you are already reaching out to an active audience. They either bought the ticket to your conference or came to your store, and agreed to have the experience in some way. All of these factors make VR a successful, engaging advertising tool. But if you have video content that is documentary-like or from a live-event, 360- video is perfect for you. This format lets you broadcast to a larger audience easier and quicker. Your video can be uploaded onto compatible apps or mobile websites, like YouTube or New York Times. Users can then watched 360- videos on the cheap Google Cardboard. This feature enables average viewers to access the content anywhere and anytime for their own enjoyment. Plus, there’s no intimidating, bulky equipment to put on! But with this easily accessible 360- video, you are sacrificing the fully immersive feeling that comes with VR. Without a large VR production, you have the full responsibility to develop enticing strategies that will push users to voluntarily download and watch your video. Whichever route you decide to take, VR and 360- video have the power to garner the attention of countless numbers of individuals! So the next time you’re trying to refresh your content, consider those two innovative options.